A cardio workout burns more calories than a weight-training workout. However, the metabolism may stay elevated for longer after weights than cardio. Are you too in the dilemma to find out the ideal workout to get fit the healthy way? Don't worry! We've got your back. 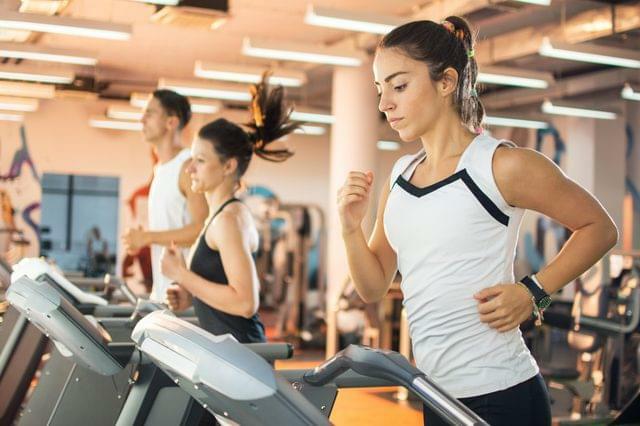 Minute per minute, cardio indisputably burns more calories than strength training, which could explain why compared to strength trainers; aerobic exercisers lose more weight in less time. But we are going to give weight training a point in the fat loss wars against cardio training for the calorie burn it offers after the workout is completed. Studies have demonstrated that after a weight training workout, the metabolism can be boosted for up to 36 hours post-workout. When you figure out that on a monthly rate, it becomes even clearer how regular participation in a weight lifting session will really increase your calorie burn and thus fat burning capacity. In order to generate a high amount of post-calorie burn from cardio (aerobics or sprinting), you'd have to be doing it for a very long duration of time, and typically individuals who are capable of doing such a thing, don't need to be concerned with fat loss in the first place. Moving on, another big benefit that weight training has over cardio training is that it will completely allow you to reshape your body. Cardio training generally will help you lose weight, however typically this weight loss is going to be a bit of a combination between fat and muscle; therefore what you're left with is a smaller version of your current self. When you are performing resistance training instead while following a calorie-restricted diet, then you stand a better chance of losing strictly body fat, while helping to enhance the natural curves of your body. This doesn't mean that you should retire your running shoes, especially if you're a stress eater. Cardio is one of the best ways to slash stress, which is a waistline-wrecker all by itself. The best solution? A fitness plan that includes both cardio and strength training. That’s a remarkable progress. But it might be time to break the monotony and move on. You may have gotten so used to your workout routine that it’s just too easy to do now. To get faster or stronger or just beat boredom, it’s time to alter things up. The best way to improve stamina, build muscles and improve calorie burn is by switching up your workout especially when you notice that your current plan has become comfortable. Stay on your toes, turn your jogs into sprints, lift heavier weights, and swim faster than you might have thought you ever would.